I’m from Cagayan de Oro City on the island of Mindanao, in the southern part of the Philippines. 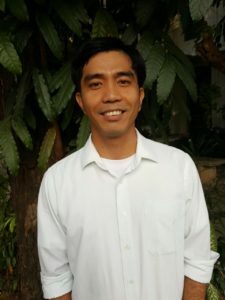 I joined the Columban Formation Programme in 2008 and I am currently in my third year of theology at the Loyola School of Theology in Ateneo de Manila University. During my college days, and even when I was working, I took part in the youth activities in our parish which was then one of the parishes where the Columbans served. Undergoing a transition in life, my journey with some Columban missionaries saw me involve myself in parish programmes and helped me find an expression for a yearning that was stirred within me. Though I never imagined myself as a priest, I realised that all I really wanted in life was to be a part of something that enables me to be a good person. I became interested in the life of the missionary priests and lay missionaries I met. I saw their humility and sincerity in immersing themselves in a culture apart from their own. I thought to myself that maybe God was calling me to this particular expression of my inner yearning, and maybe that desire to be good finds a better expression by giving myself to a missionary life. It was not an easy decision as it was not part of my plans but on the other hand I thought I would be left wondering “what if” all my life if I don’t give it a try. After almost nine years in formation, the Columban missionary life continues to captivate me and has purified my intentions. My First Mission Assignment in Pakistan was an immensely enriching experience for me. To take part in the Columban mission had been a breakthrough resulting in a willingness to further my formation. When I look back at my experience with the Christians of Pakistan and the way that being a missionary gives life to a marginalised people, it makes sense to be a missionary priest to share in God’s mission. Being missionary for me is no longer just a strive to be good while cultivating a personal relationship with God, it is about growing in relationship with God and this is best expressed in sharing my life with the other and in finding hope and establishing a resilient faith in journeying with the community. As I move on with the formation, I continue to draw inspiration from joys and challenges of that rich cross-cultural experience of friendship and of a life of dialogue with people from other faiths. Living with people from different cultures in formation allowed me to be formed towards intercultural living with seminarians and priests who have been life-giving for me. I have fostered friendship with a community with whom I share the same passion in life. I desire that as I go through the formation, that same missionary commitment will continue grow within me in faith, community life, in my studies, and in my pastoral ministry with those in prison which I am currently involved. When I think about the future, I have always imagined myself to be back in Pakistan as a Columban priest. I want to share again my life and go on that journey of faith within the vulnerability of people. The thought of it sustains me and gives me direction of what particular ministry I could take part in the various and evolving ways of God’s mission. My hope is that I will be a fully committed person that is well-founded in personal friendship with God which springs from the lived experience with the Columban missionaries and the community in the mission. My Korean name is Yoseob. I joined the Columban Formation Programme last year in 2016. Before that I was a diocesan seminarian in my local diocese where I studied theology. Because of my pastoral involvements and voluntary services in the community I have come to a better relationship with God which gives a deeper meaning to my prayer life. Hopefully this will give me the strength and courage to live as a missionary priest and to be a faithful witness of Jesus to all whom I encounter. Greetings from Seoul Seminary, my name is Muhn Leo. I am from DeaJeon diocese. Priests from the Paris Foreign Missions Society worked in DeaJeon diocese. 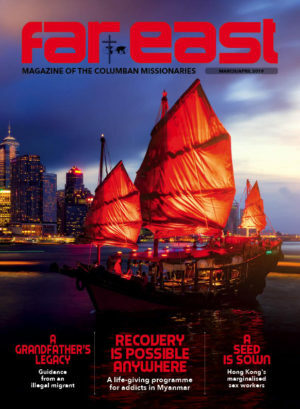 I had not known about Columbans until I met some Columbans who work in Taiwan back in 2012. 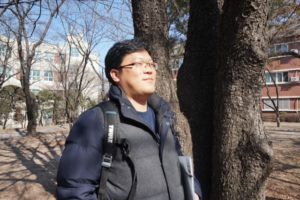 At that time I was in my fourth year of studying theology in DeaJeon seminary. 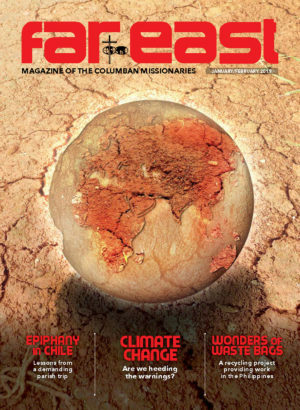 I decided to transfer to the Missionary Society of St Columban in 2012. I left DeaJeon diocese and I joined the Columbans. I am now in the seventh year studying for a Master’s degree. My major is the synoptic Gospels in the New Testament. I have yet to do my Spiritual Year and my First Mission Assignment (FMA). My role model is Fr Damian who worked in Molokai Island. I watched his biography when I was 12 years old. 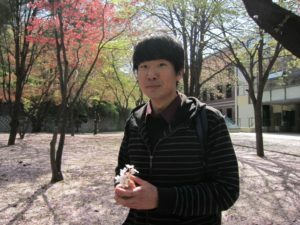 In 2011, I travelled to JeJu Island in the southern part of Korea with Columban Seo Steven. He lead me to Isidol Farm where Columban Fr PJ McGlinchey is managing a very large dairy farm and retreat centre. I also met Fr Donal O’Keeffe. Seeing the great work they were doing I felt inspired to join the Columbans. Some day I would like to go as a missionary priest to China. I am Iowane Naio from Fiji. I am thirty-six years old. I joined the Columban Formation Programme in 2014, when I was thirty-three. 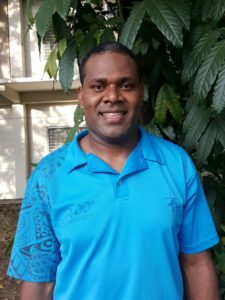 I studied philosophy in the Pacific Regional Seminary in Fiji for almost three years. Towards the end of July last year, I came to the Philippines to continue my studies and discernment. Now I am a first year theology student in Loyola School of Theology of Ateneo De Manila University. In Fiji, we have three parishes being looked after by the Columban Fathers, and I come from one of those parishes. I was exposed to the Columbans at a very young age so that is how I am quite familiar with them. One of the significant things about the Columbans, which was an inspiration to me is the manner in which they worked and related with the people of Fiji. To be specific, the parish where I come from is made up of a multi-racial and multi-cultural society; we have Fijians, Indians, Chinese, Filipinos and people from other Pacific Islands. It is amazing to see how these Columban priests manage to work in harmony with all the people despite of the different cultural backgrounds. I always admired these qualities in them and it motivates me to try and become like them. I also have an interest in learning about other peoples and their cultures and to be able to live with them comfortably and serve them like these Columbans. Another significant factor that inspired me to join the Columban Missionaries is that two of my relatives were Columban Lay Missionaries. One of them was my uncle, Savenaca Momo, who worked in Ireland for six years and the other one was Serafina Ranadi, my cousin, who died in Los Angeles three years ago. She was a long-term missionary. I remember that my mother used to write to them in their respective missionary places and they would also reply with some pictures of what they were doing and the people they were working with. It was always inspiring to watch their pictures and also, I would hear my mother praying for their safety and commitment to the call they have been called to. The overall atmosphere of the Columban formation is great, in the sense that there are people who really care for you and are giving up their time and talents for your growth. That motivates me to work harder to understand my own self in relation to others and the will of God and to bring the best out of me. Another thing that I like about being a Columban seminarian is that we get to meet the older Columbans and the Lay Missionaries as well. Personally, I learn a lot of things regarding missionary values, just by listening to their experiences.